The Stater was an ancient Greek or Lydian denomination, which circulated from the 8th century BC to AD 50. It was also struck in gold by Celtic tribes. 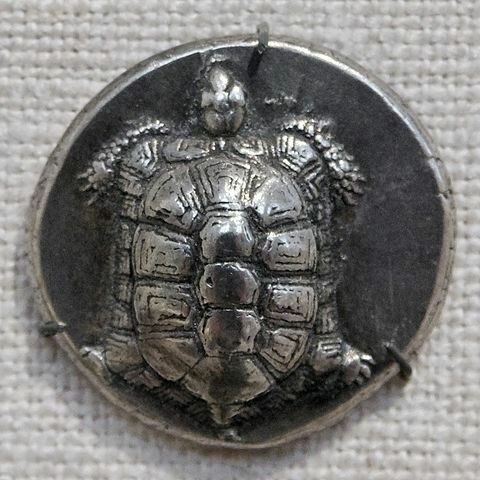 The silver staters minted at Corinth weighed 8.6 grammes, and was divided into three silver drachmae of 2.9 g. It was roughly equivalent to the Athenian didrachm, which weighed 8.6 g.
Apart from the Corinthian stater, one of the most iconic staters is the Turtle/Incuse stater from Aegina - an important early trading currency.